Designed from the ground up, the DX6 delivers way more than you would expect from a 6 channel radio in its price range. 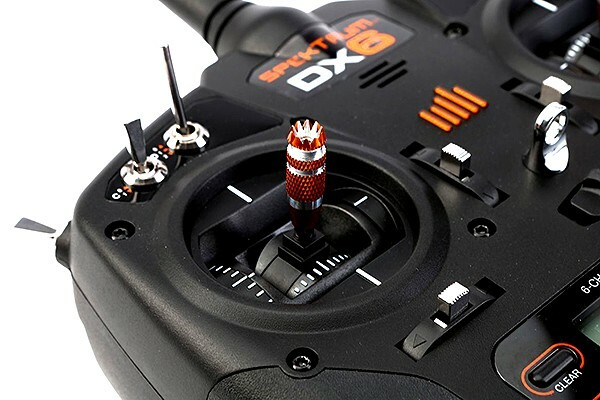 The remarkably affordable DX6 is equipped with a large number of programming features for airplanes, helicopters and sailplanes which you can use instead of loading yourself with a lots of settings for a couple of model types. You can also benefit from options like voice alerts, wireless trainer link and up to 250 model memories. The DX6 allows you to keep tabs on different necessary functions without taking your eyes off your aircraft by the use of its voice alerts. Voice alerts can be set to call out flight modes you have chosen or telemetry info when needed. With the DX6's voice alerts, you will never have to look at your transmitter once an alarm or alert goes off, it will say it to you. 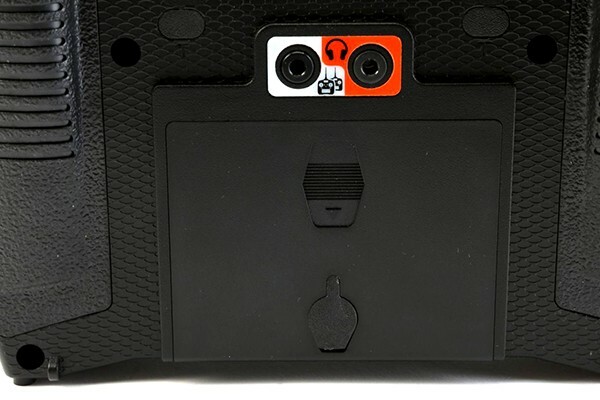 Also having a trainer cord jack, the DX6 gives instructors the wireless "buddy Box" option with other DSM2®/DSMX® transmitters. ModelMatch® technology requires only one time binding with another transmitter. 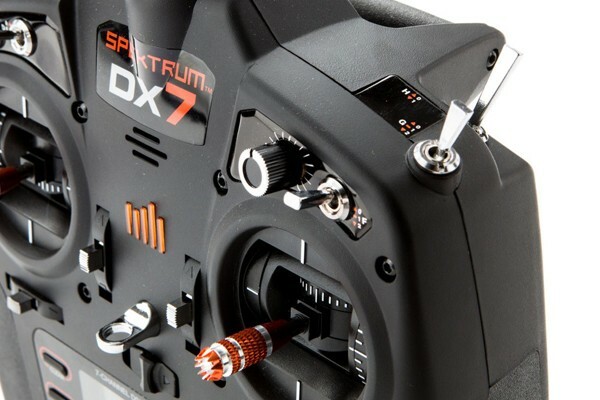 Later the DX6 re-links without the need to go through the binding process again. 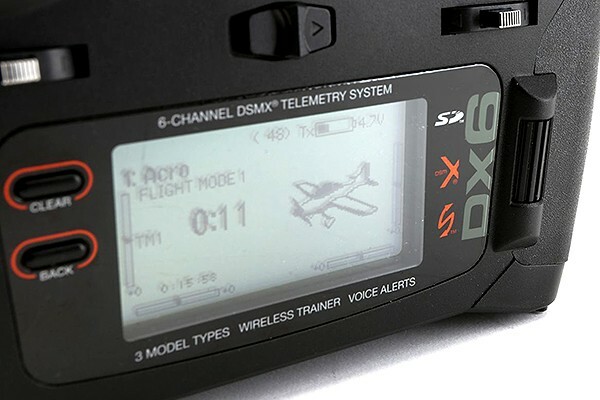 The DX6 includes more than the extensive airplane and heli programming, it has an impressive list of features that can be programmed for sailplanes also. 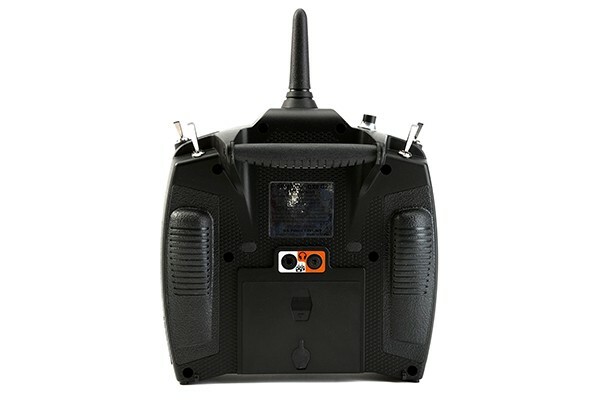 Five flight modes, 3 tail types, 4 wing types, flap to elevator mixes and many more. All these functions are accessed incredibly easy by the use of the DX6's intuitive SimpleScroll™ programming interface. 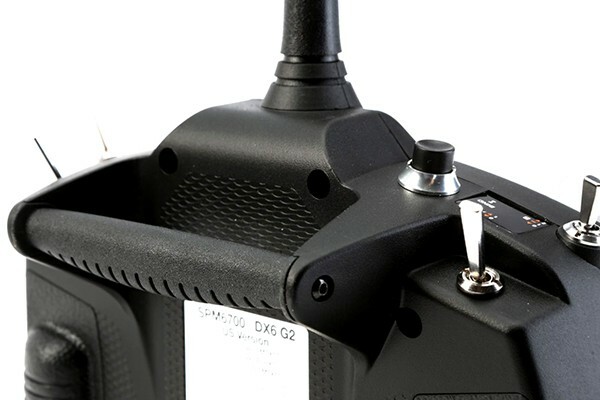 The DX6's easy to navigate on-board model menu is large enough for you to rarely, if never need to move models between transmitter memory and SD cards. The DX6 will only show you the memory slots with model settings saved on it. You will not need to scroll through empty model slots to chose the model you want to fly. 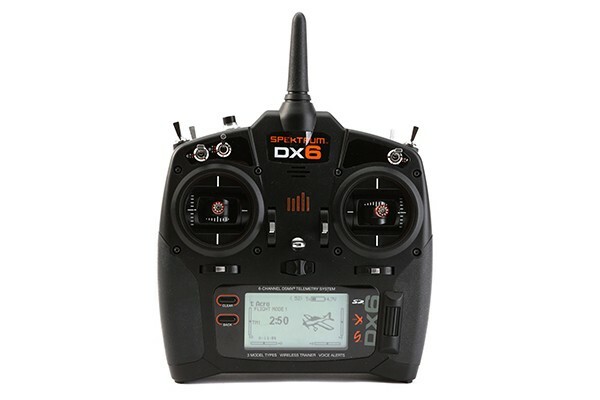 Equipped with a built-in telemetry system, the DX6 gives you real-time info on many things like your aircraft engine or motor temperature, battery voltage, airspeed, signal quality, altitude and more. With the use of the voice alert system, you can program the DX6 to call out different sequences of telemetry values with a flip of a switch. 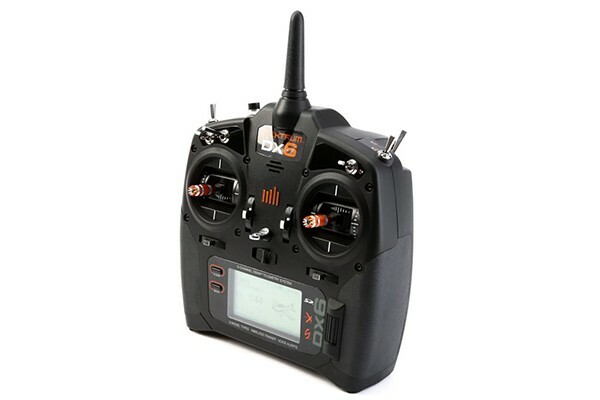 You can also set-up the DX6 to record telemetry data to its SD card and review it after a flight.